Journal of the Engineering Society of the Lehigh University. [Bethlehem], 1879. 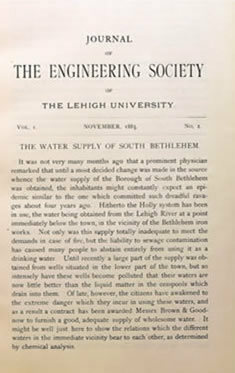 Organized in 1873 for civil, mechanical and mining engineering students, the Engineering Society also published a journal titled Journal of the Engineering Society of the Lehigh University that contained articles related to engineering topics by students and faculty.